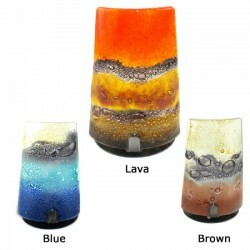 Beautiful handcrafted fair trade candle holders from around the world. Glass and metal. 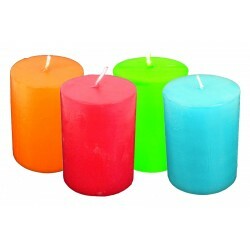 Light a candle and think of the poor and disadvantaged peoples of the world helped by these holders. Sold individually. Dimensions: 7cm long x 5cm diameter Select colour abov.. This handcrafted candle tree holds 5 candles and is adorned with 6 copper b.. 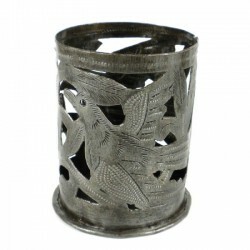 This handcrafted candle holder is made with natural clay finished black in .. 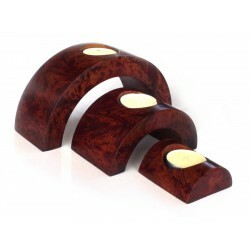 This gorgeous set of Tealight candle holders is made from quality finished ..